Suit up, Gizmo, and take down those nasty Gremlins! 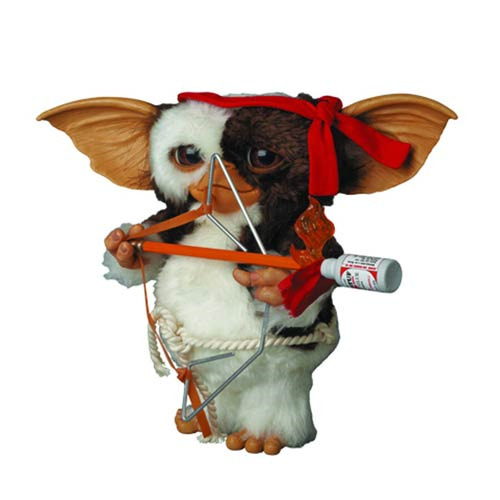 Everyone's favorite Mogwai suits up as he did in the classic Gremlins 2: The New Batch, standing just over 9-inches tall with his red "Rambo" headband and makeshift bow and arrow! The Gremlins drew first blood and now it's up to Gizmo to save the day as this VCD (Vinyl Collector Doll)! Ages 15 and up.